Welcome! Today, I share with you a great Christmas book! 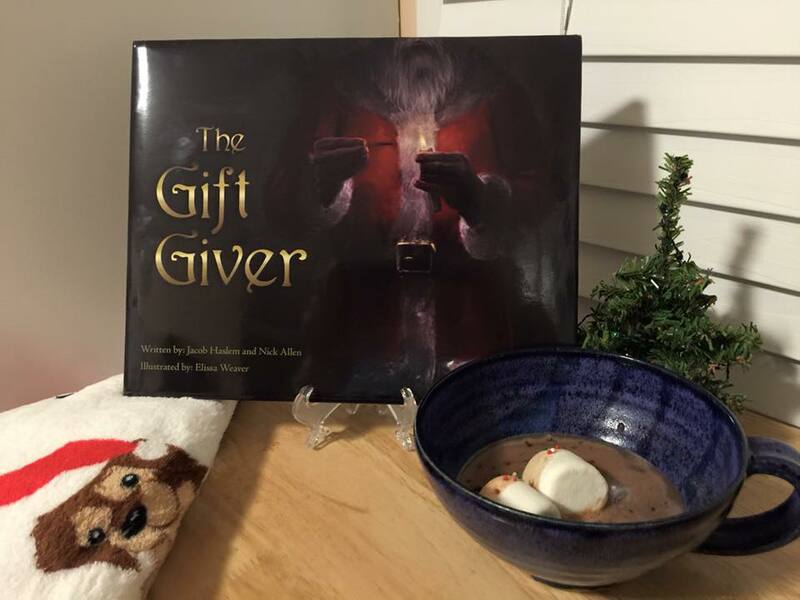 The Gift Giver, written by Jacob Haslem and Nicholas Allen, is the perfect book to read to your little ones on Christmas Eve. The book's illustrations are beautifully done by Elissa Weaver. It's a book that is sure to get your kiddos excited about Christmas Day. The Gift Giver is available in Paperback, Hardcover and Kindle. Add The Gift Giver to your bookshelf today! On Christmas Eve a boy stirs from sleep to find an old man, in the living room, dressed in red with a bag full of gifts. Excitement soon gives way to disappointment as he finds he has received fewer gifts than expected. The old man sees the young boy's protest and tells the story of his origins and his motives. As the boy becomes privy to this mystery, a question comes to his mind: is it by magic that the old man accomplishes his task, or is it something else... The lesson he learns will change the way he views Christmas forever! Christmas is my favorite holiday. Now that I have two boys, Christmas is so exciting. One thing that I love to do this time of year is read Christmas books to them. There is nothing better than snuggling under a warm blanket while reading a new book. The Gift Giver is one of our favorites. The first time that I read this book, I read it about 5 times. My boys, and myself, love the story. The illustrations are beautiful and lively. This is a book that really gets you into the Christmas spirit. It's a great book to teach your children the true meaning of Christmas. It's also a great way to get your family together. Reading is so important. If you are a fan of The Polar Express, and T'was the Night Before Christmas, you will love The Gift Giver. I recommend this book! The Gift Giver is 40 pages long and is available for purchase today! Order today to receive before Christmas! Proceeds of the paperback version of this book will be donated to The Nazarene Fund to aid in the resettlement of Christian and other religious minority refugees of the middle east. *Sponsored Post. All opinions are my own. Always! Hi Melissa, I want to thank you for reviewing my book, I appreciate your kind words and I'm so happy that you and your family enjoyed. Have a very Merry Christmas!